311 South Park Street Marissa, IL. 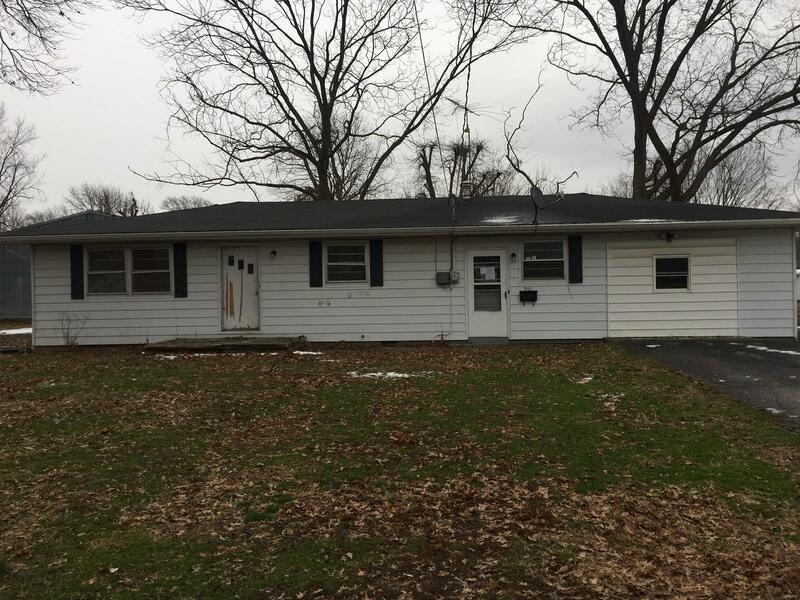 | MLS# 19005587 | Chuck Baer Realty, Inc - Homes for sale and rent in Cahokia, Dupo, E. St. Louis, Belleville, Waterloo, Columbia, OFallon and surrounding areas. CBR Property Management is a division of Chuck Baer Realty, Inc. offering property management and rentals. This 1 Story Ranch Style Home located in Marissa would be a Great Starter Home!!!! Home features over 1000 sq. ft. of Living Space. Large Living Room, Kitchen with ample Counter and Cabinet Space with Stove and Dishwasher, 2 Bedrooms, Large Bonus/Family Room, Smaller Bonus Room, Utility/Laundry Room and Full Bath. There is a 1 car detached garage. Don't miss out on this!!!! Call for appointment to see and make this your new Home!!!! Buyer to verify all Listing Data including but not limited to sq. ft., measurements, features, lot size, taxes/exemptions, schools and etc.